Do you have a loved one? Confused as what to get them or how to show them you love them for “The Whole Of Life“. We have the perfect solution…. love them, Insure them! Get them Life Cover! Why not? Picture it, you set the scene. A Lovely meal all laid out. Candles lighting the room, the most cheesy love songs you can find. You gaze into each other’s eyes! They give you a little present… the usual a box of chocolates, but its ok they are your favorite. Then it’s your turn, in a few sort words you tell them “The Whole Of Life” you have waited for this perfect person and now, you have found them and want to protect them. You hand over a little red envelope, they open it and are excited by what is inside. A Whole OF Life policy – Yes that’s right you insured them and yourself so if anything should happen there is no need to worry about the finances because your policy will simply take care of it all. Its there life cover forever! 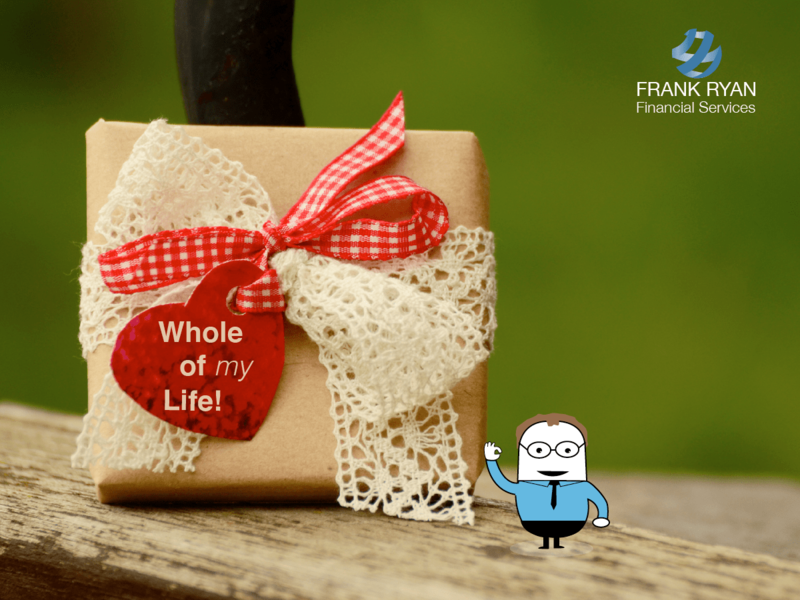 Show them you care with “A Whole Of Life” policy. You or a loved one interested in life cover? Frank has all the answers. He is here to help. If your thinking about a present that will last a lifetime – you’ve found it! Call Frank Ryan Financial services today. Previous post Yes there off to College!